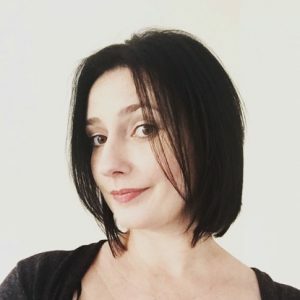 A writer who “enjoys exploring the darknesses and weaknesses within the human psyche,” Rachael enjoys reading works by Shirley Jackson, John Ajvide Lindqvist, Joe Hill, Susan Hill, Ramsey Bolton Campbell (Two ASOIAF jokes in as many paragraphs. I’m on a roll! ), Stephen King (AKA The Man) and George R. R. Martin. Good people of the Internet, the horror author that is Rachael Dixon. Bram Stoker’s Dracula. Stoker manages to stoke the imagination of the reader with a classic tale that’s filled with fear, hope, love, lust, dread and vampires. Need I say more? We Have Always Lived in the Castle by Shirley Jackson. It’s a very short book, but it’s quirky, funny and disturbing in equal measure. I doubt I’d ever get bored of reading it. The main character, Merricat, is as mad as a box of frogs, so I reckon she’d be wonderful company to have with me on Mars. A Game of Thrones by George R R Martin. Usually I don’t read epic fantasy, but wow this really paid off. So much so I went on to devour the rest of the A Song of Ice & Fire books and can’t wait till the next one is out! 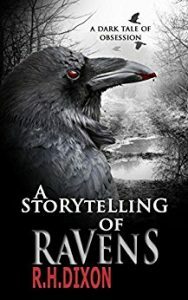 My latest novel, A Storytelling of Ravens. I had a lot of fun writing it and I think this really shows. I took the idea of four people being stranded in a cabin in the woods and let it run in all directions. The story has an immediate energy and doesn’t let up till the last page. Fluke by James Herbert. I read it when I was about ten, when I was craving more than just children’s books. It inspired me greatly and gave me a thirst for the horror genre. I knew as soon as I’d finished reading it that that was what I wanted to do with my life: write horror fiction. Again, going back to Shirley Jackson: The Haunting of Hill House. Jackson writes the kind of horror that I prefer. Very character driven, psychological stuff. The anthropomorphism associated with Hill House and the ambivalent nature of Eleanor, the main character, makes the story very subjective and personal to the reader. As in, the reader can take from it what they will. 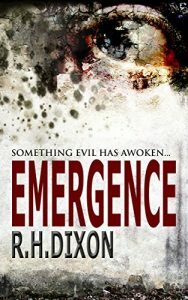 Emergence, my debut horror novel. It’s the story of a young widower who has to look to his ambiguous past in order to save his little girl from an unknown evil. It’s based in my hometown in the northeast of England, and this, I think, lends the story a certain grittiness and dose of believability. H. Dixon is a horror enthusiast who, when not escaping into the fantastical realms of fiction, lives in the northeast of England with her husband and two whippets. When reading and writing she enjoys exploring the darknesses and weaknesses within the human psyche, and she loves good strong characters that are flawed and put through their paces. When not reading and writing she enjoys travelling (particularly wildlife-spotting jaunts involving bears, wolves and corvids), painting and drawing pet portraits, collecting animal skulls to put on her bookcases and drinking honey-flavoured Jack Daniels.